Houston, TX, August 20, 2014, Bryan J. 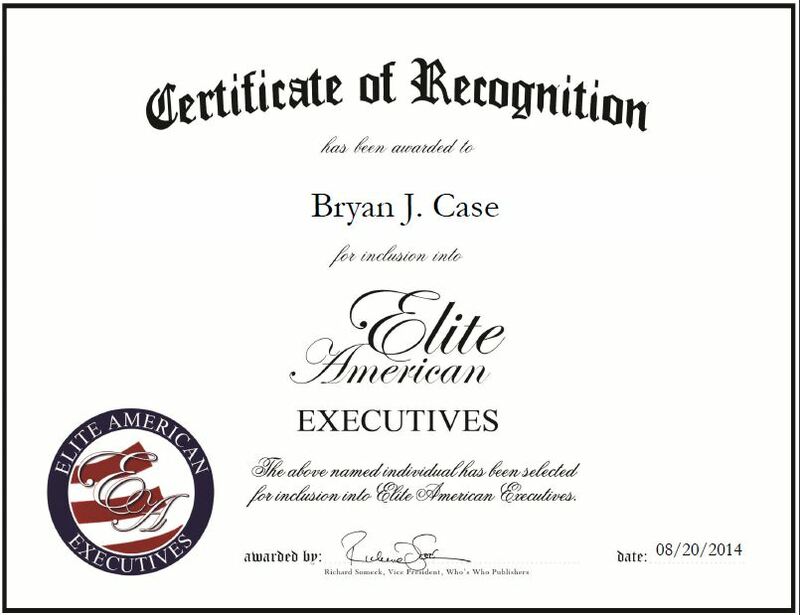 Case, Vice President of Greentec Environmental, has been recognized by Elite American Executives for dedication, achievements and leadership in manufacturing. Mr. Case began his career working in the motorcycle industry, which led to emissions testing for motorcycles and then diesel emission testing. The diesel industry moved toward replacement parts and he started to work in sales, maintenance and service in order to fulfill this niche. As a result, he has worked in several countries trying to bring diesel particulate filters into the forefront. Today, Mr. Case has 18 years of professional experience and has been serving in his position for the past year. Greentec Environmental is an aftermarket filter manufacturer that provides the manufacturing of replacement original equipment diesel particulate filters to clients, such as major part houses, large fleets and municipalities. An expert in working with a diverse group of people and effectively communicating with others, Mr. Case is responsible for dealing with government, state and federal governing bodies such as the EPA, California Air Resources Board and the Texas Commission on Environmental Quality to ensure they are in compliance with laws and regulation, marketing products, and getting diesel particulate filters to the end user at a cost point that they can handle. He attributes his success his hard work ethic and the upbringing provided to him by his parents. In addition to being the son of a Marine Corps drill instructor, he was sent by his family to work on the family farm in Missouri every summer. In the coming years, Mr. Case would like to relocate the business and its national headquarters back to the Midwest. This entry was posted in Manufacturing and tagged communicator, diesel emission testing, diesel particulate filters, executive, people integration. Bookmark the permalink.